In 1499 the Europeans arrived, when the Spanish explorer Alonso de Ojeda and the Italian navigator Amerigo Vespucci discovered the island. In the mid-17th century, Aruba was conquered by the Dutch West India Company and was used as military outpost and trade base; the same was true for the neighboring islands of Bonaire and Curacao. In Aruba, oil refining (even gold mining) remained the major industries into the early 1990s, but then tourism developed quickly and the economy of Aruba changed. 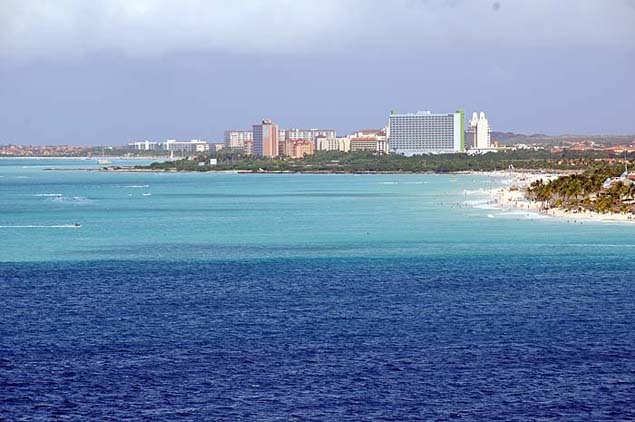 In fact, Aruba remains one of the most popular vacation destinations in the entire Caribbean. Aruba is (for the most part) a dry and flat riverless island famous for its sandy beaches and beautiful blue/green waters. Stylish Dutch architecture is prevalent across the island. 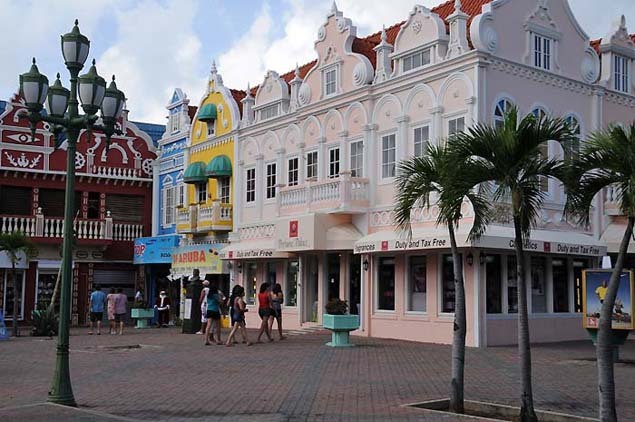 These buildings are located in downtown Oranjestad. 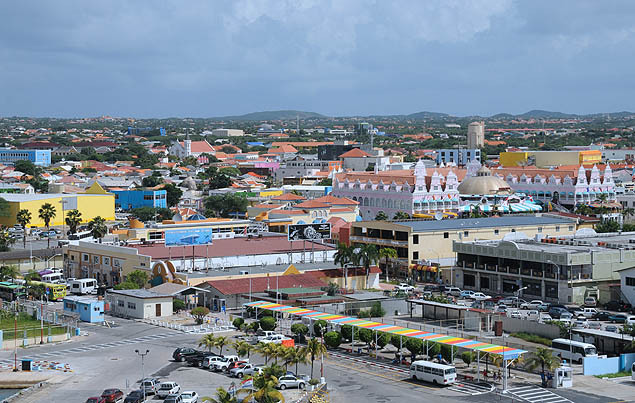 The pastel colors and colonial style of buildings in Oranjestad stretch into the interior areas of Aruba. At the approximate center of Aruba stands Hooiberg (translating to Haystack) a volcanic formation topping out at 165 meters above sea level. 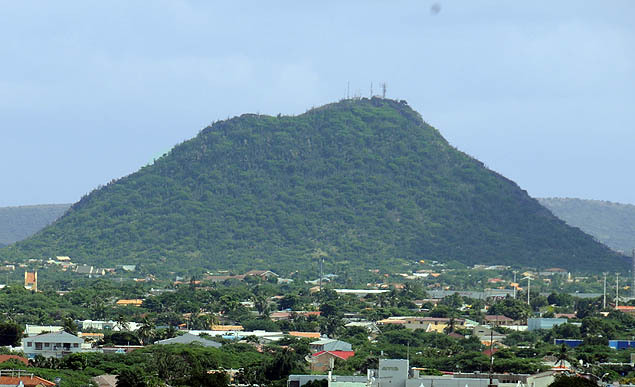 Jamanota (not shown) is a hill located in the Arikok National Park standing at 189 meters above sea level, and it is the highest point of Aruba.